Experience the excitement of two spectacular theme parks, non-stop nightlife, and more at Universal Orlando® Resort. Here you’ll soar above Hogwarts™ with Harry Potter™. Save the city from certain doom with Spider-Man®. Be transformed into a Minion on the heartwarming and hilarious 3-D ride based on Despicable Me. And join the battle on the new TRANSFORMERS: The Ride–3D. It's everybody's fantasy - to leap through the screen and find yourself right in the middle of your favorite movies and TV shows. Here at this real, working production studio you'll find an amazing array of rides, shows, movie sets and attractions that put you into the picture. It's here that you can enjoy the all-new thrills and magical experience of The Wizarding World of Harry Potter™ - Diagon Alley™. Join the battle on the TRANSFORMERS: The Ride–3D. be transformed into a Minion on the 3-D ride Despicable Me Minion Mayhem; help save the princess on Shrek 4-D.
Take an unforgettable journey through uniquely themed islands where your favorite adventures come to life. Soar above HogwartsTM on Harry Potter and the Forbidden Journey™; help save the city on The Amazing Adventures of Spider-Man®; and escape the jaws of a T-rex on the Jurassic Park River Adventure® . 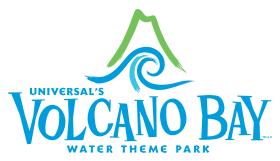 Made up of four immersive areas filled with innovative opportunities for thrills and rejuvenation, Universal’s Volcano Bay™ is an all-new water theme park like none other. Here you’ll find a full day’s worth of fun set to the tune of a comforting island breeze and breathtakingly lush views. With 18 incredible attractions, you’ll be able to experience daring water adventures and moments of peaceful relaxation—all without having to worry about waiting in line or carrying around rafts. You'll be granted the powers of the TapuTapu™ wearable. With just a wave of your wrist you can hold your place in the ride lines and reveal wondrous surprises throughout the park. Which means more time to careen down slides, brave whitewater torrents, drift down a winding river or relax in your own waterside cabana. This hassle-free island is just steps away from Universal Orlando’s other world class theme parks, Universal’s Islands of Adventure™ and Universal Studios Florida™, five themed on-site resort hotels and the dining, shopping and entertainment of Universal CityWalk™. Dance, drink, shop, and see it all in one place–Universal CityWalk® .Only here can you walk from some of Orlando’s most popular restaurants into some of its hottest clubs, trendiest shops and state-of the-art theatres. It’s anything and everything you want to make your night come alive–Universal CityWalk, the Entertainment Capital of OrlandoSM . © MARVEL. TRANSFORMERS and its logo and all related characters are trademarks of Hasbro and are used with permission. © 2013 Hasbro. All Rights Reserved. © 2013 DreamWorks L.L.C. and Paramount Pictures Corporation. All Rights Reserved. Shrek 4-D © 2013 DreamWorks Animation L.L.C. Jurassic Park ® Universal Studios/Amblin. Universal elements and all related indicia TM & © 2013 Universal Studios. © 2013 Universal Orlando. All rights reserved.